The Florida Museum’s latest showcase, “Wondrous Creatures: Where Science and Art Intersect,” is a unique experience presented in collaboration with local artist Ariel Bowman. 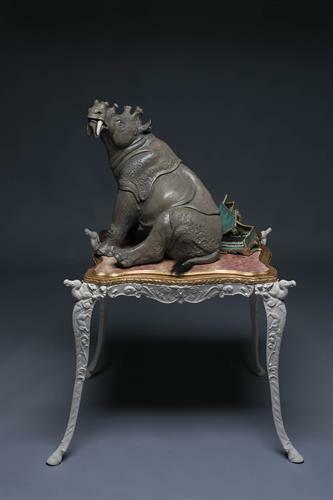 Five sculptures of prehistoric animals displayed among 18th-century furniture offer guests a different look at life in the past while panels illustrate the process of turning a piece of clay into art. The display is free for all visitors and open through Sept. 16. For more information, visit www.floridamuseum.ufl.edu/exhibits/wondrous or call 352-846-2000.